My dog gets supervised play instead of being locked up at home. You all are amazing. Thank you for taking fabulous care of our puppers. He is excited to come back soon. The staff is friendly and helpful. It seems like they keep the place sanitary and clean. Very Friendly staff and works hard to keep pets happy while in their care. GREAT place to take your pet! They seem to be very good with my dog I have never had a issue and she loves going to daycare! My dog is having some arthritis and now, since she is no longer as active as she used to be, Dogtopia is taking the time to understand how we can deal with her flexibility during her play times. Very comforting. Your services are great. I grateful to your associates for their love of the dogs, how playful they are with them, and their attention to detail with the customers. I love how the canine coaches really look after my dog. Dogtopia gives me complete peace of mind knowing our dog is well cared for. I also love being able to watch him on the doggie cameras to check in and see him having fun! 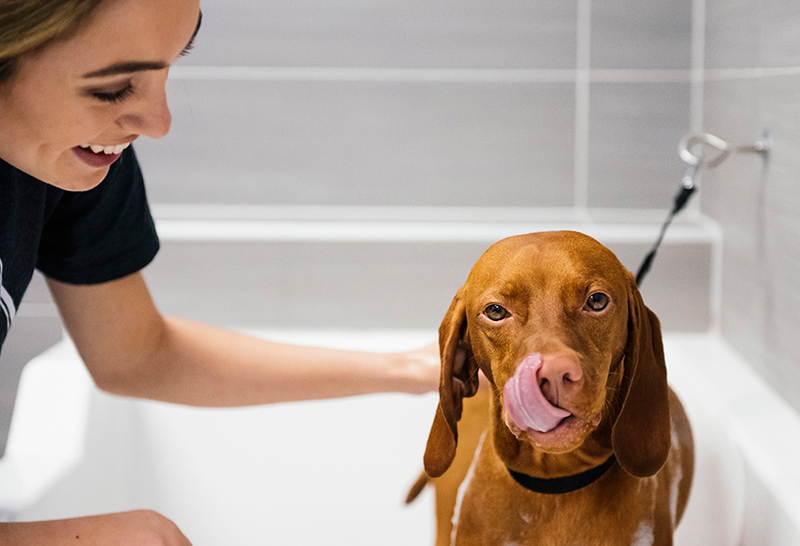 They will go above and beyond to make sure your pup is having a great stay! The monthly doggy birthday parties held monthly are absolutely wonderful! The gift bags along with the new toys are a hugh hit with our pup. 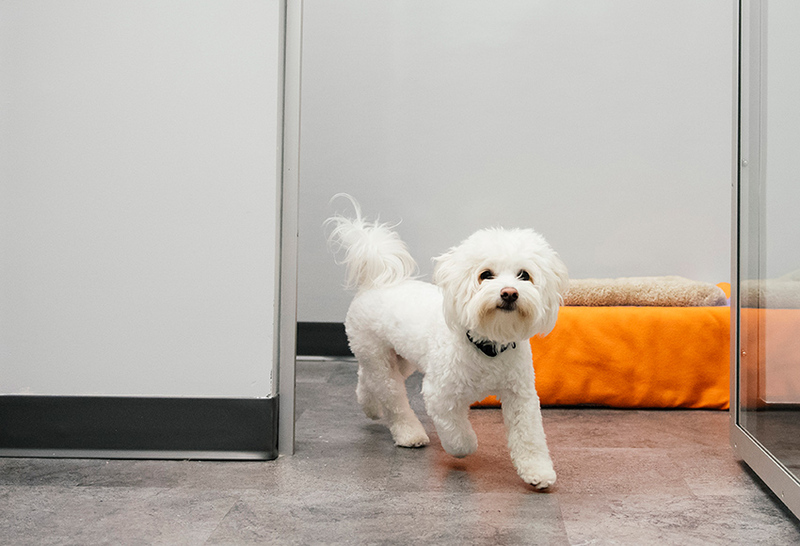 He always becomes excited when we mention Dogie day care (Dogtopia) and he anxiously awaits the staff to open the doors so he can get to his room. Thanks to this great staff who seem to go to extra efforts to ensure all dogs have a wonderful time at Dogtopia of Fredericksburg. 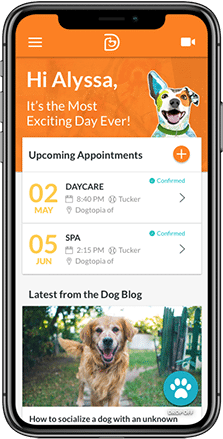 Your search for a one-stop shop for dog boarding, daycare, spa services and training has come to an end. Since 2014, Dogtopia of Fredericksburg has provided dog parents with everything they need to care for their pup. 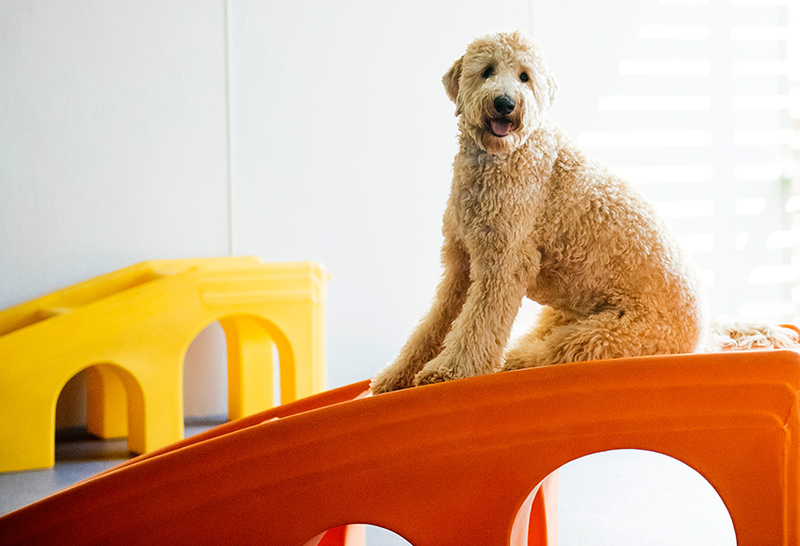 Whether they’re looking to leave them for a few hours or overnight or longer, we offer a number of daycare and boarding packages that are suited to your needs and budget.